The legal sector much like similar service-centric industries have slowly but surely imbibed the value of outsourcing. But unlike others, it had not been quick on the take-off and the full benefits were only realized with the global economic crash in the mid-2000s. Legal firms, faced with the meltdown found it hard to cope with the rise in litigation cases while keeping costs down to manageable levels. The hiring of legal luminaries was not a solution if highly paid lawyers had to attend to mundane duties that primarily comprised of a supporting role instead of carrying out tasks related to core competencies and offering high-value service to a fresh business. Thus the real path of business expansion, growth and profitability lay in outsourcing legal support services and today this field is almost as big in size and turnover as the main legal industry. Before deciding to opt for outsourcing, you have to very sure of what you want out of it. The most important is of course reduction in costs in maintaining support services, both in relation to hiring qualified manpower and investment in infrastructure to run them. The second is being very clear about what you want to outsource that will save time and energy and help you focus on the primary tasks at hand. The core of all legal activities can be categorized in two ways– documentation, preparation, and writing of briefs, carrying out research and other similar work on one hand and court appearances on the other. 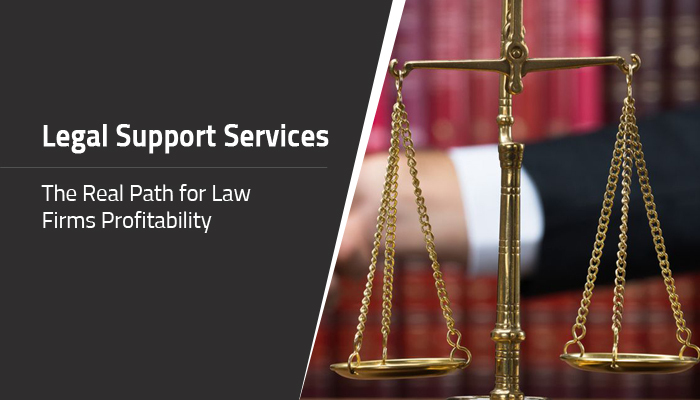 To reach your objective of exponential growth in business, you should opt to outsource comprehensive legal support services. What are the services you can outsource and yet ensure that your law firm runs without a hitch – in fact, more efficiently and profitably? Research and writing: This is a standardized work that requires no special discretion or interpretation of the law by a top-notch lawyer. As research is on laws that are already rigidly laid down, the scope of any discrepancies in research findings is almost eliminated. Thus you will do well to outsource such tedious activities as research for preparation of motions, appellate briefs, legal memoranda, letters and notices as well as structuring motions and pleadings, complaints and background information for trial preparation. Outsource legal research activities will save you a lot of time and costs as these services are available offshore at very affordable costs. Contract Management: Any law firm has to deal with hundreds of contact and if you have to go through all of them with a fine tooth comb you’ll not have time for anything else. Moreover, managing the database of contracts, negotiating and maintaining the contracts, and ensuring that all clauses are client welfare centric is an onerous responsibility. 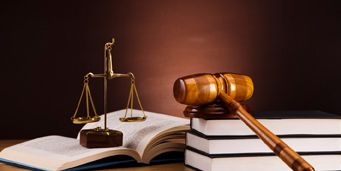 Professional legal support service has the expertise to carry out these functions effectively not only in the initial stages but during the life cycle of the contract too. Choose an outsourcing company with experience in handling contracts related to various sections of laws – Family Law, Property Law, Employment Law and those related to trusts and estates or securities. You can even look for specialization in outsourcing agencies that match your primary area of activities in law. Review of Documents: This is another key area that you’ll do well to outsource. It’s a highly manpower intensive work but very important nevertheless. Agencies who have long years of experience in legal outsourcing have expert document review teams who can carry out related activities with great professional skills. This includes coding of documents, preparing deposition summaries, reviewing the document database with definitive point specific issues and finally facilitating putting forth an evidential database. Read Also: What to Take Care of When Outsourcing Legal Support Services? One thread runs common through the different factors given above and that is, each point contributes to cost savings as you don’t have to put in place any infrastructure to take care of them. This will increase your profitability and have a positive impact on client servicing and business growth.